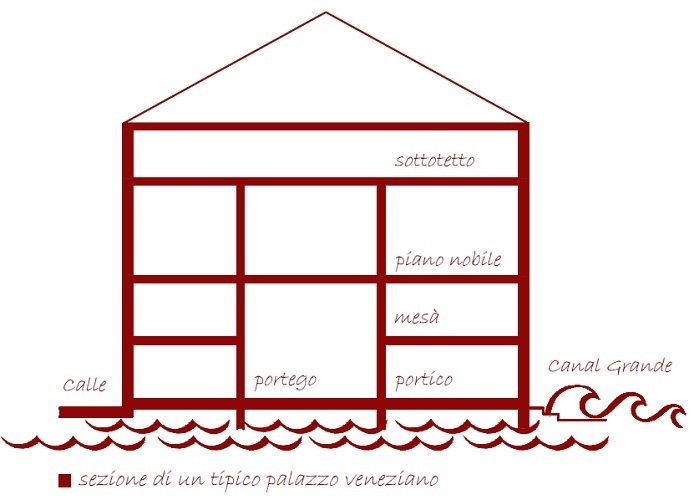 Cà, Fondaco, Casina: the Venetians have bizarre ways to indicate the house, the building. Rich in marvelous buildings, along the Grand Canal the city lets its most beautiful residences pass before our eyes, examples of magnificent architecture that take away and breath, suspended between the green of the waters and the blue of the sky, belonged to nobles patricians, artists in search of inspiration, rich merchants, sometimes foreigners come to the city for their business. The palaces of the Grand Canal look like bodies without a body, reflected in the waters below, the ones influenced by the other and vice versa in a unique and continuous whole that unites the whole city, but which finds in this waterway, defined the most beautiful in the world, its culminating moment. We know that Venice is not a city next to the water but a city on the water that penetrates everywhere: this means that in the lagoon a type of extremely singular foundations developed, returning to the technique of prehistoric pile-dwellings. This foundational constructive system did not allow the height development of buildings, having to be realized in width, so as to distribute the weight on a wider aerial. You could not even give a preordained form, but rather you had to follow the course of the terrain and the available space. The consequence is that of a city in which the buildings do not close in themselves as fortresses, but open up to each other, which lives its life mainly outdoors, in a community of streets, fields and squares: this is a essential feature that will remain unchanged over time. Buildings whose colors and shapes are reflected in the mirror of water in front. But since the water is a moving mirror, constantly moving and continuously different due to unpredictable factors, such as the direction of the winds, all that is reflected, together with the hue of the sky, is returned shattered, decomposed, as filtered through innumerable prisms, fused with the reflections of the neighboring buildings, in turn mixed with those of others and so on, in a marvelous continuity. The architecture of Venice is therefore always coherent, as a whole and in particular. It is the architecture of voids rather than full, it is chromatic and changeable, and above all it is a double architecture: the built and the reflected, apparently the same but upside down, fleeting, inconsistent. But is it correct to say that the most beautiful buildings in the city overlook this marvelous waterway that is the Grand Canal? 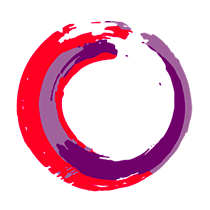 In fact, yes, and there is a reason: Venice is a city that was born on the water, which stole the water from the lagoon and the waterways, defined in the toponymy all lagoon rii, were for a long time the only routes of communication, the bridges being completely absent, only realized later. The main entrances therefore, were all placed on the Grand Canal and it is for this reason that the most beautiful decorations were dedicated to the facades on the water. And it is from this peculiarity that the wonder arises: colossal constructions that arise from the water canceling out the materiality, giving the feeling of lightness and ethereal, that continuity that only in this particular city lives. Many buildings, many different eras, different owners and many lives and stories that animated them, resonant their names that repeated those of the family they belonged to, but only one construction typology that was repeated over time: a sort of basic module born just from the needs of a territory so difficult, so particular. It was a scheme that organized the construction of the building in 3 areas: a central area that ran through the entire building from one side to the other called portego and two side areas divided into small rooms. This division was repeated for all the floors: on the ground floor there was the portego for meetings of representation, to which was added a portico on the water to allow the docking of boats, and the rooms of the side areas that were used as warehouse / storage; on the upper floor, called the main floor, the large central portico became a hall for parties and dances, while the side rooms assumed a private destination; finally, the last floor housed the attic. Sometimes between the ground floor and the first floor, on the side areas, there could be an intermediate floor, a mezzanine, called mesà. A fixed feature of this scheme was the presence of a small open courtyard: according to its position the construction scheme took the form of an L, a C, or a U. This subdivision of the spaces was repeated also vertically, on the main facade, dictating the position of the openings: the ground floor opened with a large porch for the main entrance, while on the upper floor the openings were placed more closely in the center, in correspondence of the living room to illuminate the large central area; the side, however, were more sparse to give light to smaller environments. The openings were always numerous and very slender in height, since the facade on the water was the main source of natural light, and very often also the only one. The reason for such a significant number of tall, slender openings lies in the fact that the facade never performed a structural function, entrusted instead to the side walls. Each era has translated this scheme into its own linguistic and artistic canon: translation that led to the birth of unique architectural jewels. It is not difficult, even for inexperienced eyes, to read the characteristic signs of a building and to deduce from which this era belonged. In this exercise that we can all do, a key to fundamental reading is undoubtedly the typology of the openings: the position, the shape and the decor can reveal us the age in which the building was born. A first difference we can find it by observing their position on the main facade which also reveals the position of the ballroom on the noble floor. 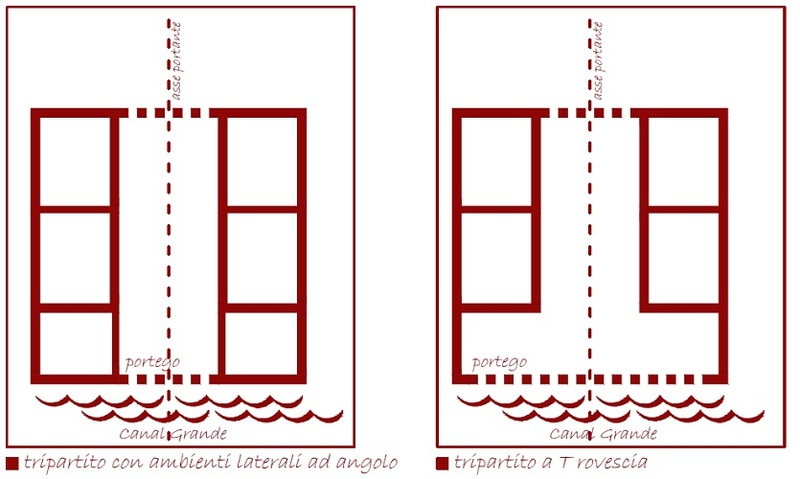 If the openings of the noble floor are arranged on the entire façade it means that the party hall is arranged parallel to the façade, assuming the same length, creating the shape of an inverted T called crozzola, while the environments that flank it take light or from the windows of the side facades or directly from the central hall in the case where the building was flanked and closed on the sides by another building: we are in the Roman / Byzantine era. If the openings are concentrated in the center of the facade while the side ones are more sparse, it means that the living room is placed perpendicularly to the facade, while the side rooms become exquisite corner rooms: the era is certainly Gothic. In Renaissance times, up to the Baroque to get up to neoclassicism, the openings are positioned regularly on the whole facade, but we will see later that they do not always reflect the position of the ballroom.